How Do You Spell Diesel? Home » Spelling Dictionary » How Do You Spell Diesel? Definition of Diesel: Diesel is a noun. It is a common name for any vehicle powered by a diesel engine, as well as a type of fuel. 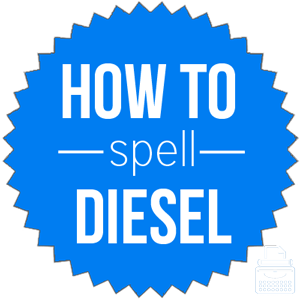 Pronunciation of Diesel: diesel is pronounced either as dee-zul or dee-sul. What does diesel mean? It is common to call any vehicle that has a diesel engine a diesel; it is also a type of fuel derived from petroleum. Diesel engines are common in larger vehicles, such as trucks, buses, and industrial machinery. Diesel is a noun and can, therefore, function as a subject or object in a sentence. Does your truck take gasoline or diesel? This little car right here is a diesel. The word is sometimes written as a compound noun. There are no common phrases or idioms that use the word diesel. The first known use of the word was in 1894, according to Merriam Webster’s. The term comes from the name of the inventor of the diesel engine, Rudolf Diesel, a German mechanical engineer. Rudolf Diesel was inducted into the Automotive Hall of Fame in 1978. There aren’t any real synonyms of the word diesel as it describes something specific that has no other name. The word diesel is a noun that refers to a type of petroleum-based fuel, and to any vehicle that is powered by a diesel engine. As a noun, it can function as a subject or object in a sentence. It is often used as a compound noun, as in diesel fuel and diesel engine.